Happiness is a blue sky…wrapped around a glass of liquid sunshine, of course. 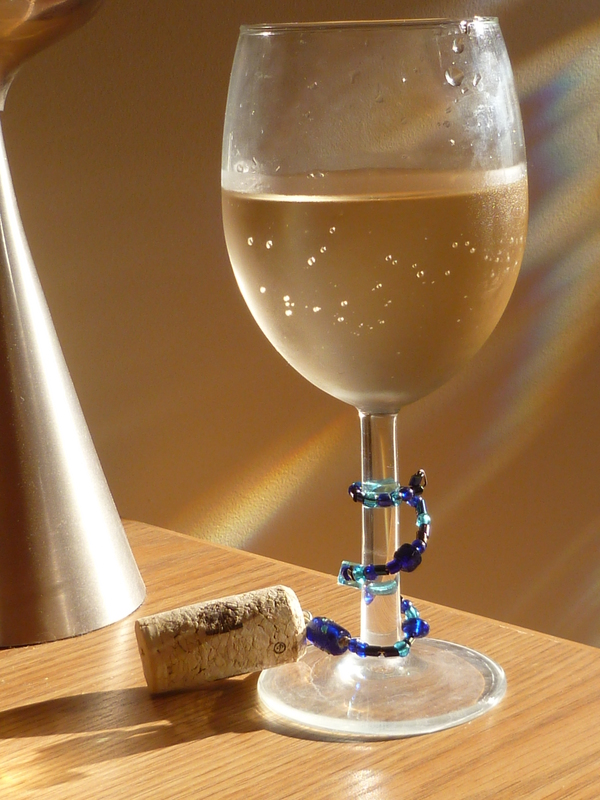 This stem charm has glass beads in a variety of shades of blue anchored to an up-cycled wine cork. 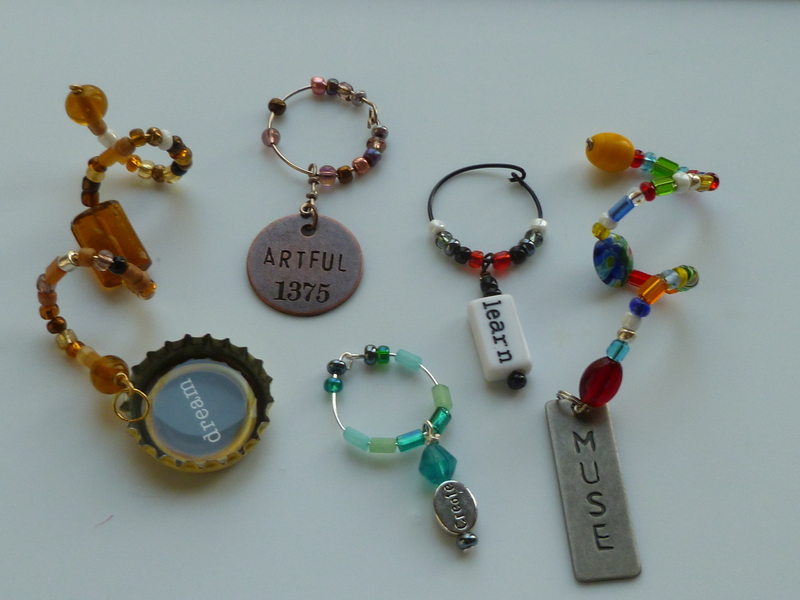 “Find Your Muse” wine charm set (mix of stem and loop charms). 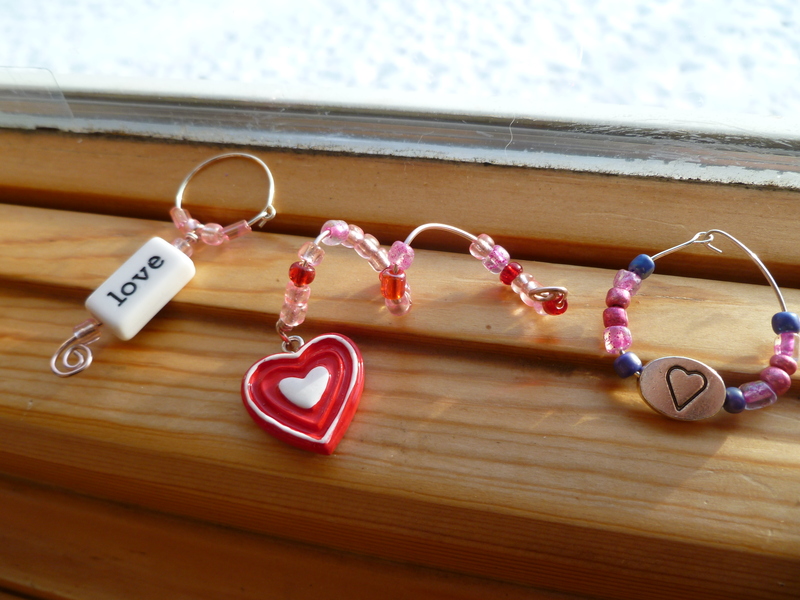 Glass beads of varying sizes, stamped metal, and upcycled bottle caps. A second view, different lighting.